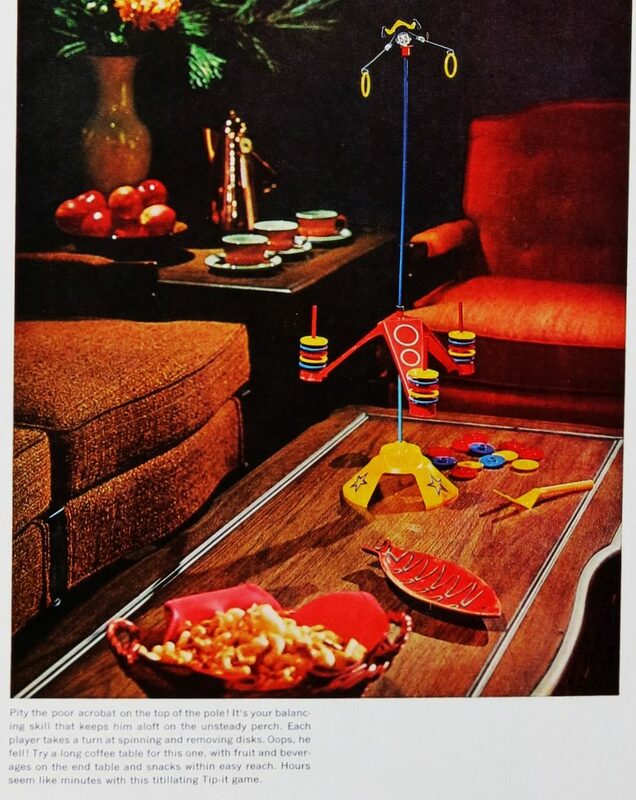 There was a time in the 1960s where a Game Room was a must in every upwardly mobile family’s home. It wasn’t just for the kids, who were locked in their bedrooms whenever Mom & Dad invited friends over for a Cocktail Party, where guests could crowd the game tables for a rousing game of Tip-It or Tiddly-Winks Poker–and the occasional smart game like Probe or Tangle. 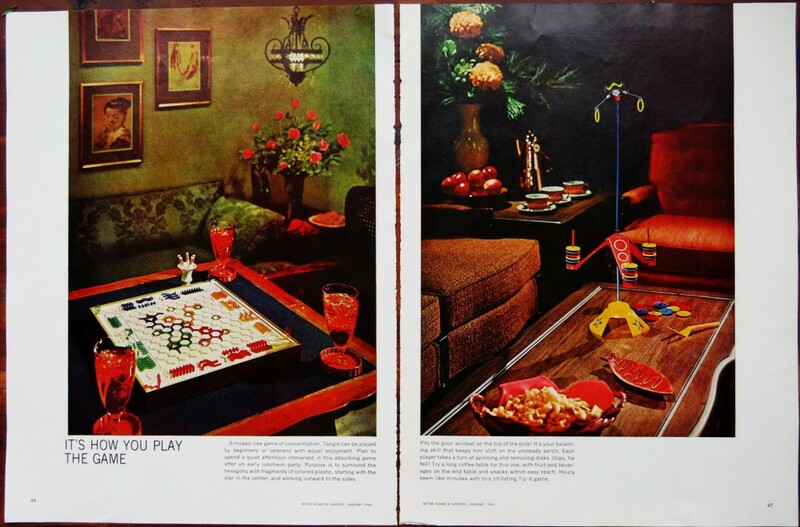 Better Homes & Gardens, the unofficial magazine of the Upper-Middle Class, showed readers how a well-appointed Game Room lent just the right touch of frivolity to the sophistication that every upper middle-class couple sought. From the January, 1966 issue, “It’s How You Play the Game,” by Elizabeth Craster, an editor with the magazine. 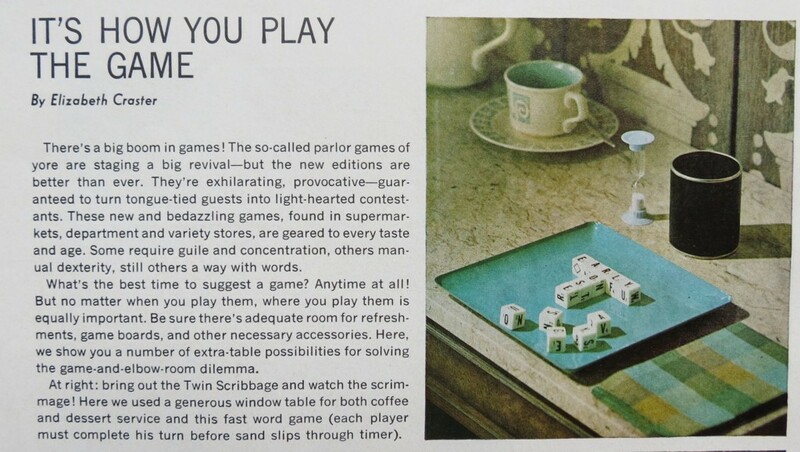 It’s interesting to see the games that sophisticated people played then. I’m astounded at just how many copies of Probe were sold in the 60s. There’s one in almost every thrift shop in America. 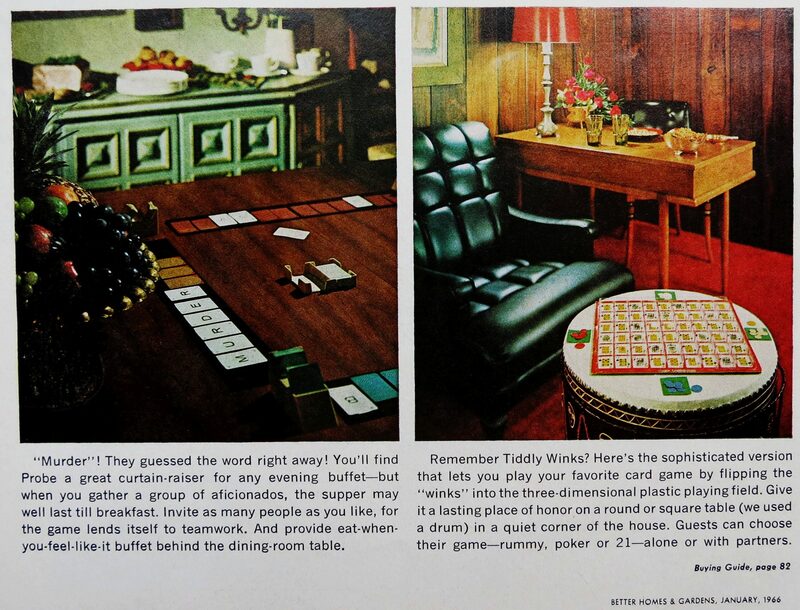 I’d love to find a copy of Tip-It somewhere. It looks like the ideal drinking game…. 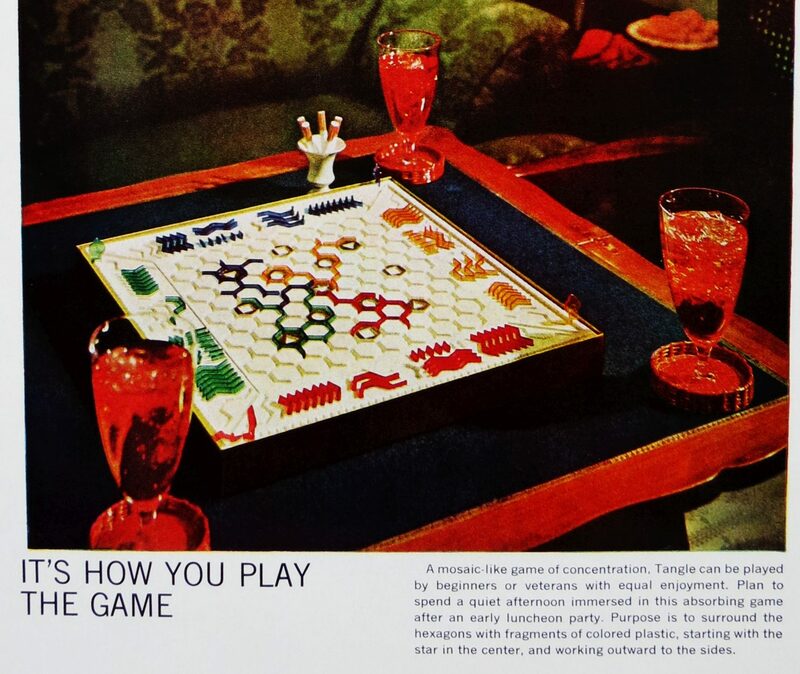 The photos below are from the January, 1965 issue, “Games! The Whole Family Wins,” also by Elizabeth Craster. 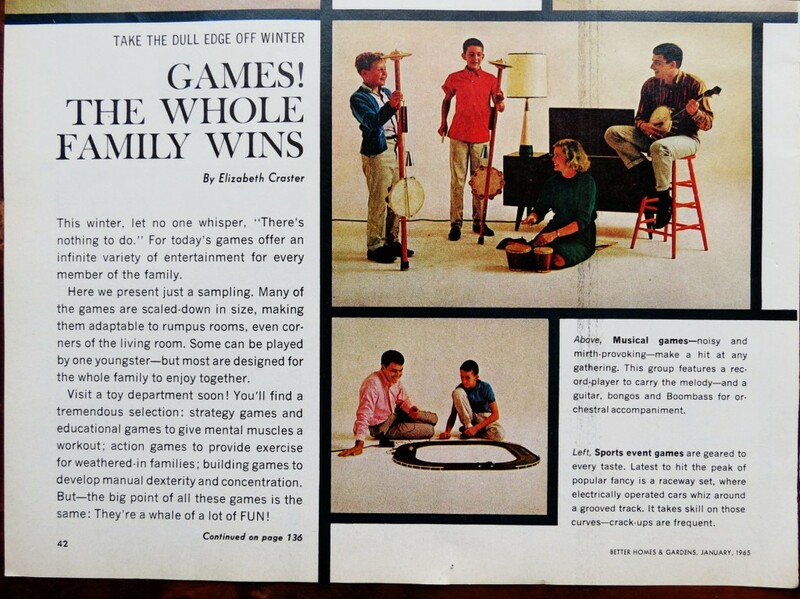 This article focused more on the games that 60s families played, rather than the room they played them in. 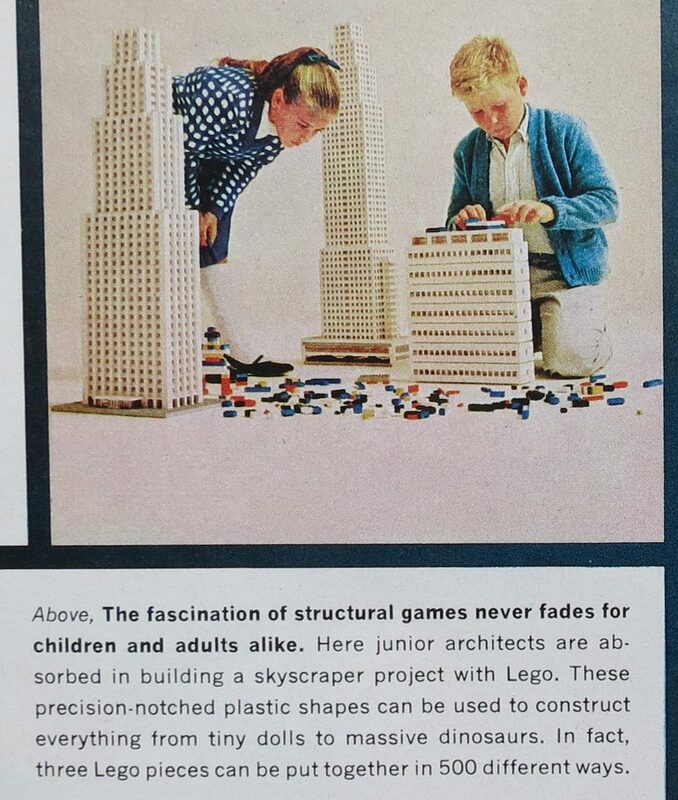 Note the one item that has endured, practically intact: Legos! 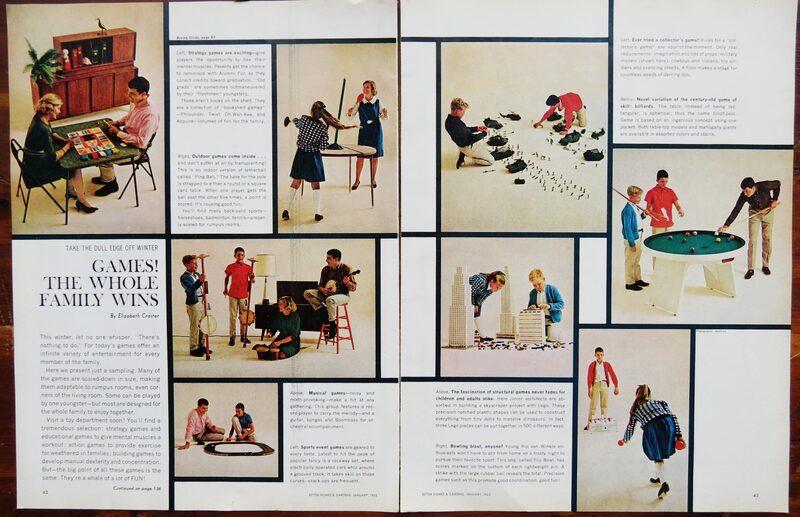 Too, check out the kids playing with Miniatures. 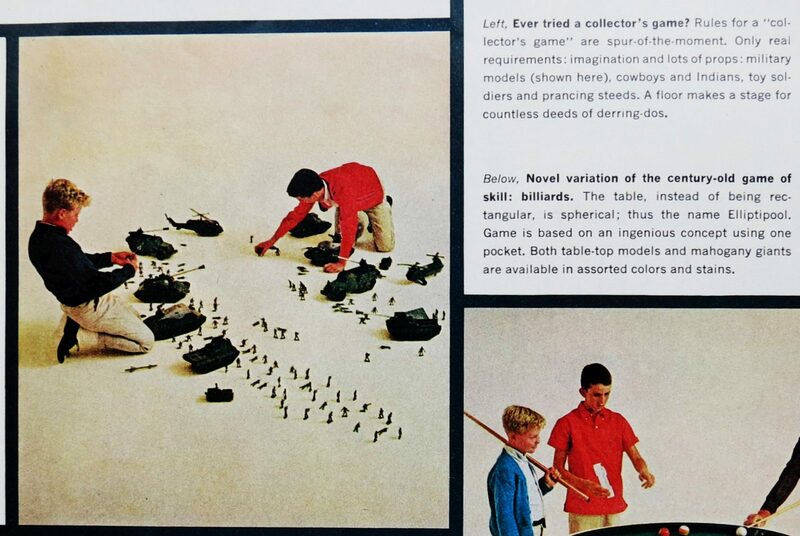 No Monsters here, just Armies! 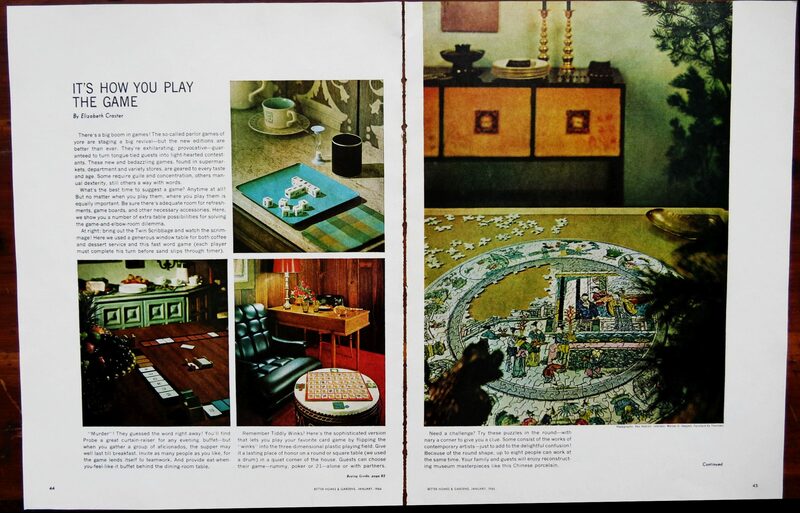 And feel free to ignore the “Musical Games” section of this article…. 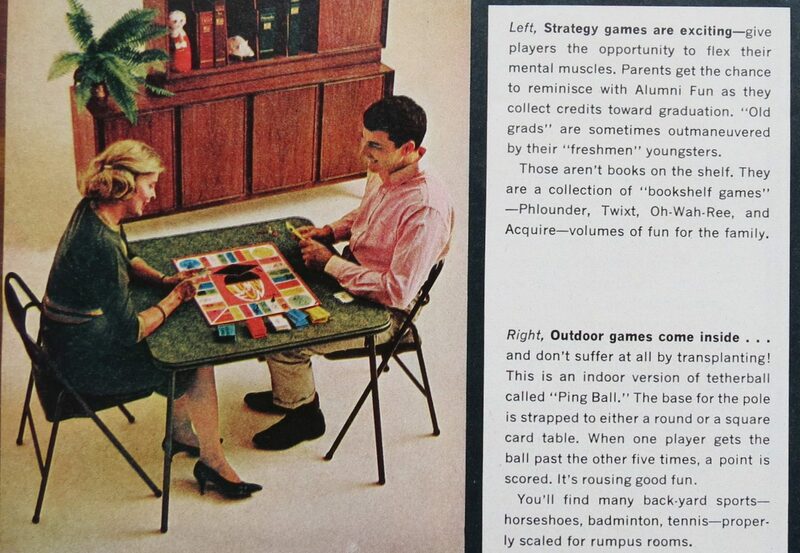 Almanac of Games for June 8th: Vikings! Fishing!